Recently I had a requirement where our client’s support and maintenance team wanted a feature through which they can view the privileges for a record for all active users in the system. Ok, let me take a moment to explain here. Simple isn’t it? Well it is not. 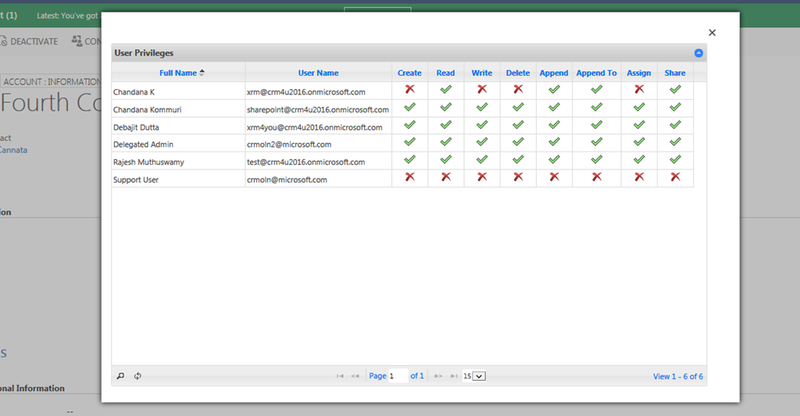 And specially with CRM 2016, a user might end up getting a specific privilege on record through any of the following. It can be really complex depending on how your system is configured. Then what is the other way of finding out without user intervention. The customer did not want any external utility. They wanted something within CRM from where they could view the information. So I developed a quick solution and then I thought why not share the community so that anybody in the future having the same requirement can benefit from this. 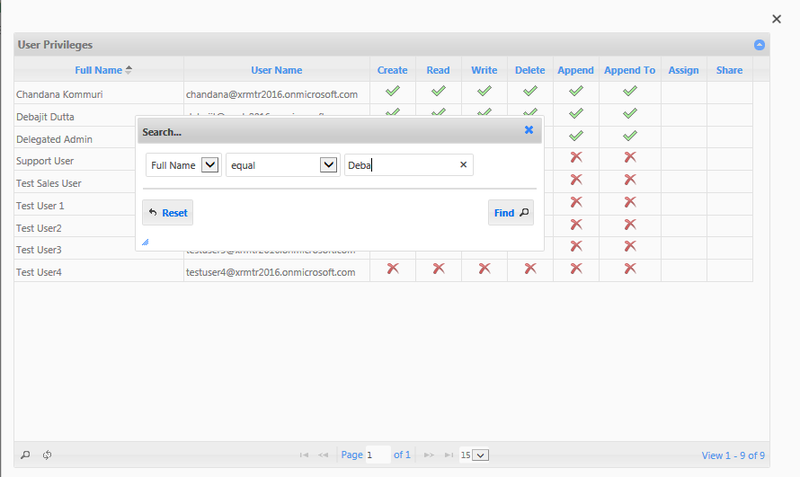 Once you install the managed solution, open any record form for any customizable entity. You should see a button called ‘Check User Access’ on the form. 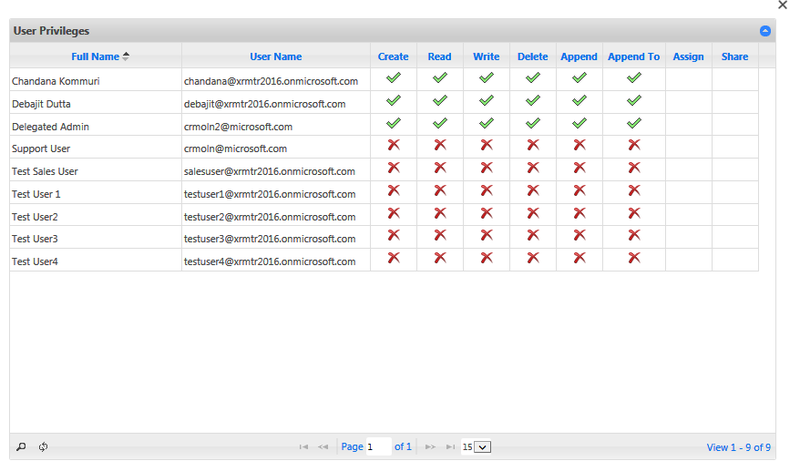 And voila!, it shows the privilege that each user has on the record. For Organization Owned entities it would show you the privilege as well. Since ‘Assign’ and Share privileges are not valid for organization owned entities, you can see those privileges are blank. The results might take some time to pop-up depending on the number of active users and access complexity in your environment. And finally to round off, you can sort on the ‘FullName’ and ‘User Name’ columns. Also you have paging and searching to slice and dice your data. Liked this tool? You can make a small donation at paypal account – debajit.prod@gmail.com. Your support and encouragement will help me to make many other tools in the future. Till then you read one of my blog posts, happy CRM’ing.